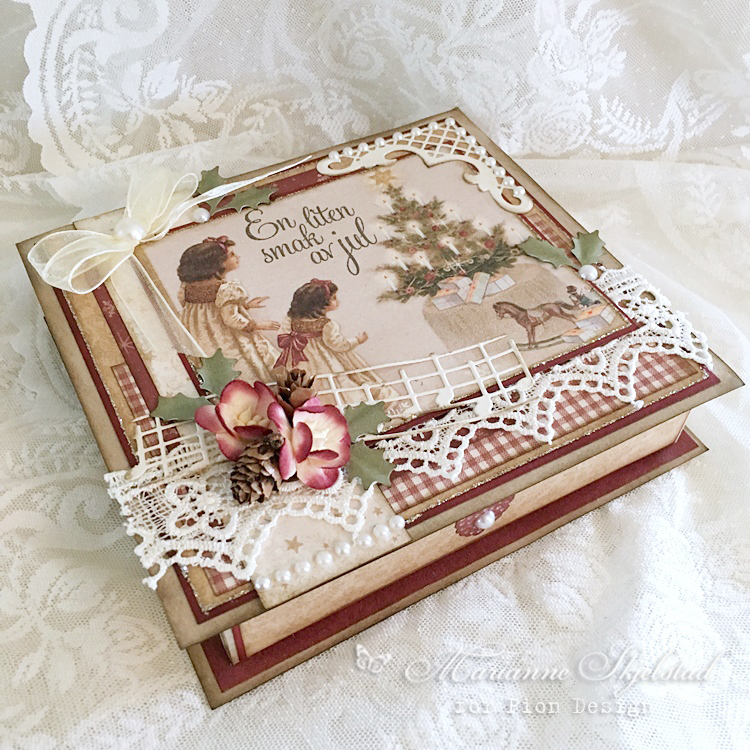 I have made a gift box from the new collection The Night before Christmas. I just love the warm colors and beautiful images that this collection has to offer! WAUW yet again a really gorgeous box here. Soooo beautiful and a perfect way to give a nice gift to someone you love, that´s for sure. Very very beautiful work. May I ask where you got the card with the swedish language. I would love one and don’t know where to get one.